Janet is a non-executive director and business adviser with more than 25 years’ experience in advising companies on commercial, tax and related accounting issues. She works closely with boards, auditors, audit committees, finance teams and business owners across a range of industries. Janet is highly regarded for her ability to analyse complex information, identify critical commercial issues and find practical solutions. 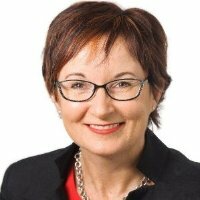 Janet is a member of the State Libraries Board, South Australia and a director of tax specialist advisory firm, Leveque Consulting Pty Ltd. She was previously a partner with Big 4 accounting firm EY and worked in Canberra, Sydney, Perth and Adelaide in a variety of roles with EY. Janet is a contributor to our Boardroom Bootcamp course for the topic Governance: Compliance.